SolarAid and the University of Edinburgh announced a three year research partnership to look at waste, recycling and repair of solar lights in Africa, funded by the UK’s Economic and Social Research Council . 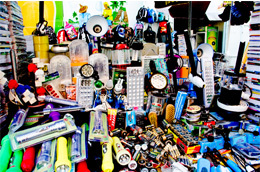 The PhD research project will look at waste management and recycling processes and practices in similar markets and make recommendations for sustainable management of e-waste from solar lights. Dr Jamie Cross, Lecturer in Anthropology and Development, and Deputy Director of the Global Development Academy at the University of Edinburgh, will supervise the project with support from SolarAid. The selected PhD student will work closely with an advisory group of the Global Off-Grid Lighting Association (GOGLA) created to inform, shape and support the project to ensure the research stays relevant and appropriate for use in the sector. “This PhD is an excellent example of collaborative research between UK higher education and the third sector that is directly addressed to global development challenges. By focusing on the re-use and recycling of solar lighting systems in sub-Saharan Africa the project will make a major contribution to the way we understand the social life of low carbon energy technologies and address the growing challenge of technological waste,” says Dr. Cross.